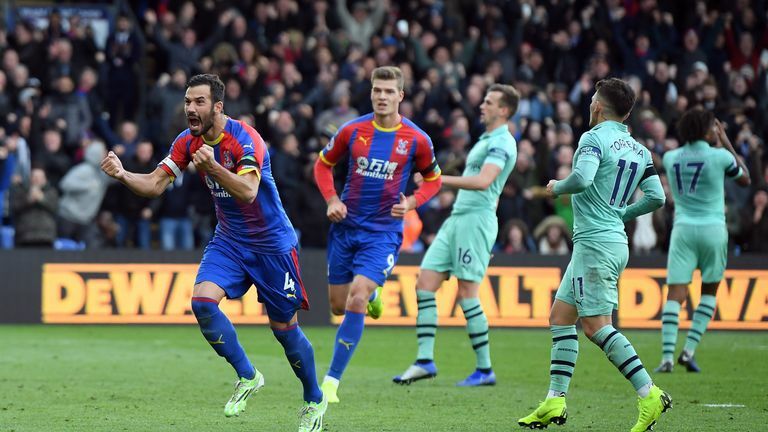 Pierre-Emerick Aubameyang (centre) fires Arsenal ahead at Palace, but should the goal have stood? 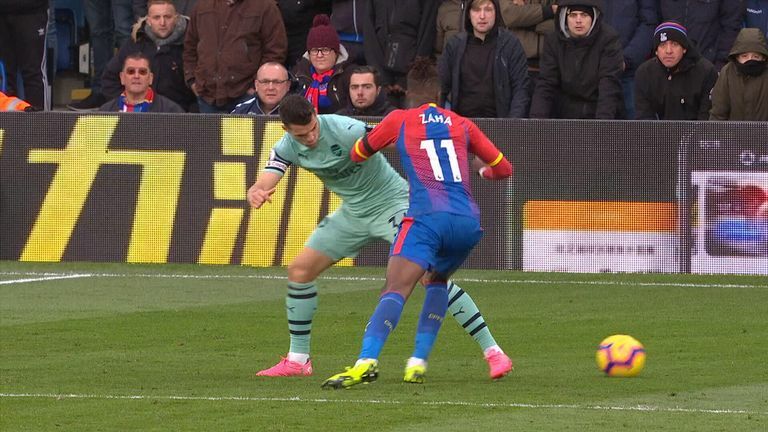 Should Pierre-Emerick Aubameyang's strike that put Arsenal ahead at Selhurst Park have stood? Did Wilfried Zaha dive to win Crystal Palace a penalty in the same game? Former Premier League referee Dermot Gallagher gives his verdict. 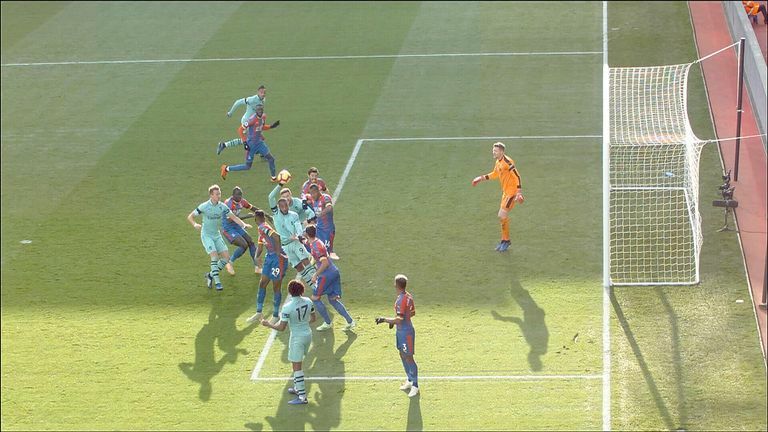 INCIDENT: Aubameyang puts Arsenal ahead at Selhurst Park, but there are questions of handball in the lead-up to the goal. DERMOT SAYS: It was handball, but it is a difficult decision to spot as my first reaction is, 'Is the ball in the net?' And it was only when I watched the replay that I saw Alexandre Lacazette handle the ball. So when it happened in real time, the big decision for the referee [Martin Atkinson] and the assistant was, is the ball over the line? But when you look at the replay, the ball has changed direction and so it is handball. Lacazette appeared to have handled the ball in the build up to Aubameyang’s goal against Crystal Palace, so should the goal have stood? INCIDENT: Arsenal defender Shkodran Mustafi trips Cheikhou Kouyate in the area. DERMOT SAYS: Penalty. When you go to ground and do not get the ball, you are running the risk of giving away a penalty. DERMOT SAYS: The player dangles his leg, takes Zaha down and the referee is entitled to give a penalty. I do not think he does [initiate contact], the leg comes out and Zaha has nowhere to go. 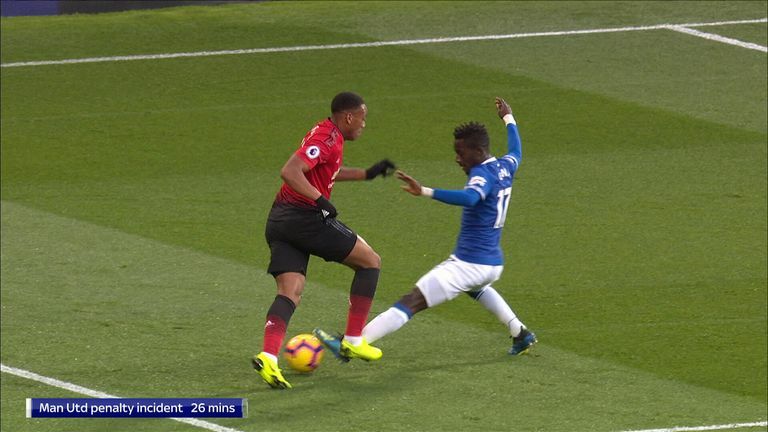 INCIDENT: Idrissa Gueye trips United forward Anthony Martial in the box. DERMOT SAYS: This is why you need referees because if you polled 100 people, 50 would say penalty and 50 would go no penalty. He [Gueye] does play the ball, he gets a little nick on the ball, but that is all he does. 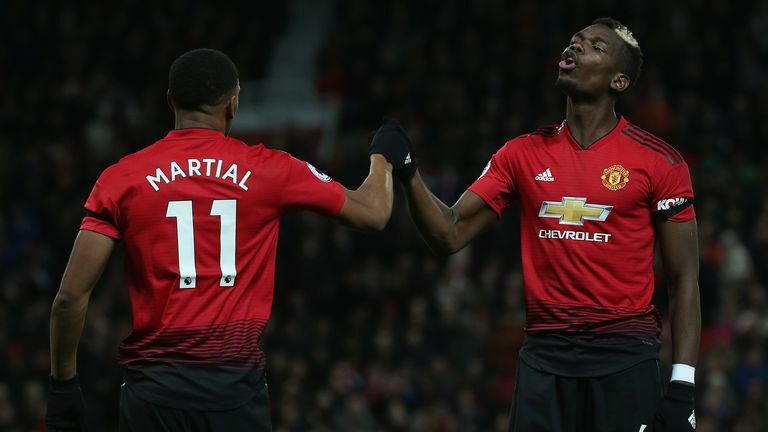 And Martial will then get on to the ball, he brings his leg up and takes him down and the referee [Jonathan Moss] is entitled to give a penalty. If you touch the ball, it does not necessarily mean you will not be punished. INCIDENT: Paul Pogba gives United the lead after his initial penalty is saved, but are there any rules about run-ups for spot kicks? VERDICT: Correct decision, nothing wrong with his run-up. DERMOT SAYS: He [Pogba] is taking a long time! He is quite entitled to do what he is doing, but when he addresses the ball, he then has to continue - because once he can kick the ball, he has to continue his run. 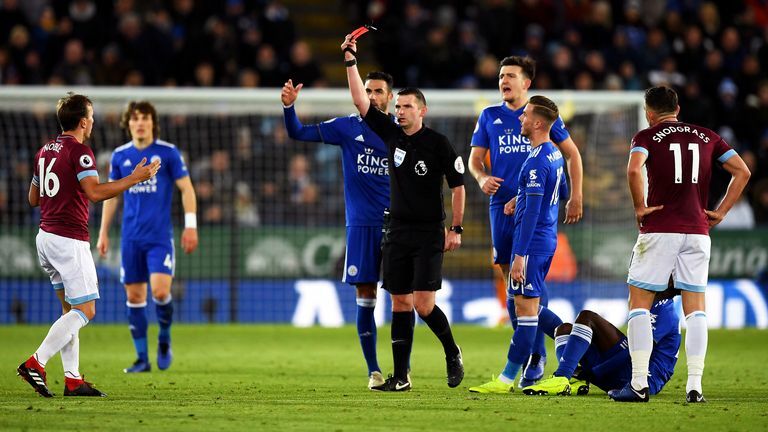 INCIDENT: Mark Noble is sent off for a lunge on Leicester midfielder Wilfred Ndidi. VERDICT: Correct decision, red card. DERMOT SAYS: It is brilliant refereeing, great position because when you see the first shot, it does not look the worst tackle in the world. But when you see the referee's view, it is a really, really bad tackle. But that is credit to Michael Oliver for the hard work he has done to get in that position.